EMOWAF establishes EO based water quality services to support Bulgarian water authorities responsible for inland water quality in lakes to develop and implement Water Frame Directive (WFD) of EU. 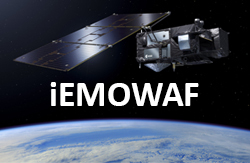 EMOWAF develops new downstream service‐line created on Web‐based geo‐information system for provision of Earth Observation data (satellite and airborne), integrated with in‐situ data for water quality monitoring as additional tools to the National System for Environmental Monitoring – Water Monitoring Subsystem (NSEM ‐WMSs) of Bulgaria. Applied processing methodologies shall be independent on single EO sensors to ensure comparability on all temporal and spatial scales, using satellite sensors. This requirement also supports long-term continuity with data from future and past sensors. The service shall support economic, cost-efficient production mechanisms, to be payable and carried out countrywide for any government.